The Domesday Book of 1086 indicates that there were pre-Norman settlements at Stretton Baskerville, Burton Hastings, Copston, Withybrook, and Wolvey. This record tells us that the land in Wolvey (Ulveia) was held by Aethelric and indicates 22 households, including a priest and so, presumably, a church. The present Church of St John the Baptist has a Norman doorway, and the rest of the building reflects the various styles of the time when rebuilding and repair took place. Two tombs in the north aisle with recumbent effigies are of Thomas de Wolvey and his wife Alice, dating to the early 14th century, and that of Sir Thomas and Lady Catherine Astley, erected in 1603. 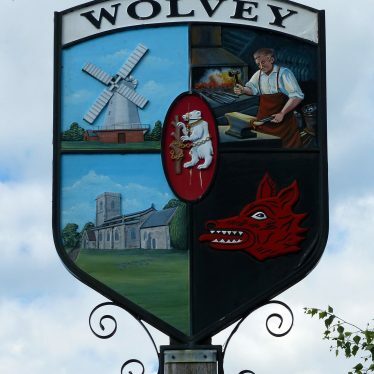 In the 12th century, Wolvey was prosperous enough to provide a weekly market for the area. There were other townships within the parish. One with its own chapel, known as Little Copston or Copston Parva (long since disappeared) has been the subject of study by the Wolvey Local History Group for a number of years. 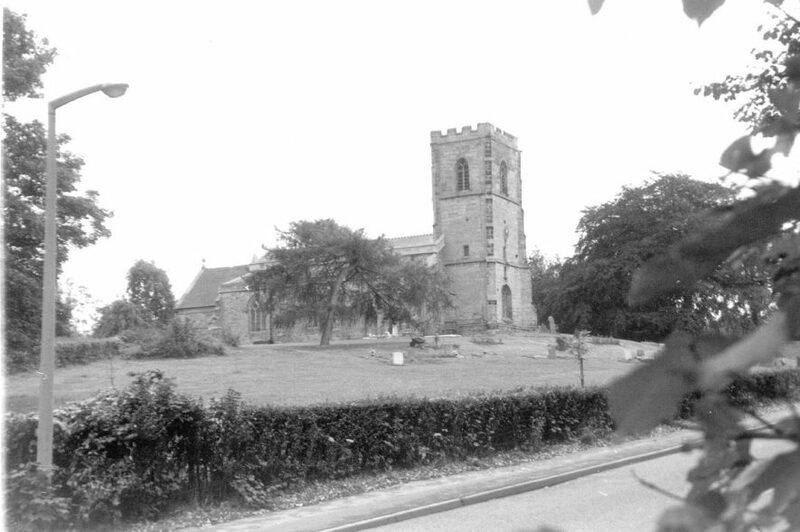 The other settlement, recorded in the Domesday Book was Bramcote (Brancote). Both were agricultural communities (arable and pasture) with supporting crafts like smiths and millers. The communities operated within the feudal system, with much of the land being farmed for the benefit of Combe Abbey. One farm at Wolvey, which included a large fish pond, had been given for the benefit of the Knights Templar in 1257 – hence the current name of Temple Farm on Temple Hill. Such land was removed from the religious orders following the dissolution of the monasteries in the mid 16th century. The manorial system, however, continued, with strips of land cultivated by copyhold tenants in an open field system, with shared grazing areas controlled by two Lords of the Manor, the Marrowe and Astley families. This system lasted for another 200 years until changes in farming practice led to the enclosure awards of 1797. The road pattern as we know it today was laid out about this time and a number of features associated with modern Wolvey begin to emerge. Apart from a few 17th and 18th century cottages (such as the thatched cottage in the Square on the corner of Bulkington Road, and a brick and timber-framed cottage in Wolds Lane) there are few visible remains of earlier domestic dwellings. A charity school was established by the Vicar of Wolvey for poor children about 1784. The National School developed from the church Sunday School, with a room built on land in School Lane in 1838; this had a number of subsequent extensions. This building no longer exists, apart from the entrance bellcote. A Baptist Chapel was erected in 1789 with additions in 1803, 1818, and 1834. The present Flemish bonded brickwork with light headers is likely to reflect the 1834 enlargement. By this time the industrial revolution was leaving its mark on rural Wolvey both in farming and in the work of its inhabitants. The 1841 census records more people employed in framework knitting than in farming; farm labouring brought in about nine shillings a week; knitters could earn up to 12 shillings a week. 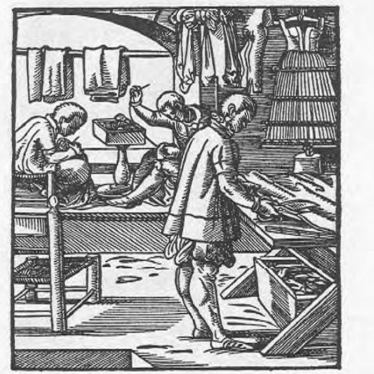 Thus, the Leicestershire hosiery industry impacted on Wolvey, although about mid-century some silk ribbon weaving was being undertaken – most likely linked to the Coventry industry. By the end of the 19th century farming and its support services again provided income for the majority of its inhabitants; there was a village smithy and a wheelwright but also a number of traders in Wolvey: butchers, bakers, grocers, coal dealers and other shopkeepers. Today one shop remains. 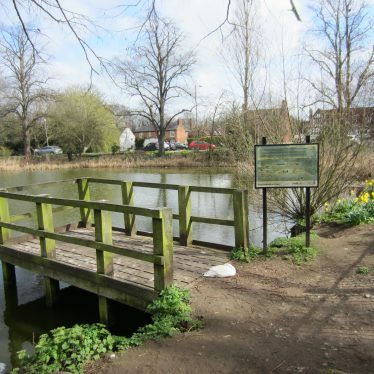 The Wolvey Local History Group actively collects information and photographs of the changes that have taken place. It has published two booklets on the history of the villages of the area (now out of print) and in 2004 published ‘Old Photographs from the Villages’.